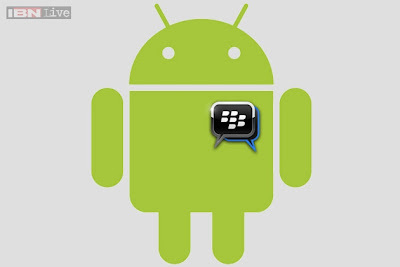 BBM for Android is late to reach Play store, Social Media & websites full of fake BBMs | NewbieTechTips! "Thanks for your patience #Android users! Working hard to get you the real #BBM ASAP. We'll let you know when it's live. #BBM4ALL"
While this all is happening, the social media including Google+, Facebook and Twitter, many blogs and website and even Google's Play Store is filled with links to fake BBM for Android links. I am sure Google Play store team is trying to remove the fake BBM apps from the store, but there is no stopping of links to fake apps on blogs and social media. I have not downloaded to check any and i advice the same to all android users. Even if you are anxious for BBM, wait for the official app to come in Play Store and stay away with so called "Leaked Versions" of BBM. These fake apps may be malwares which can brick your phone. There is another group of android lovers on social media who are showing their outrage by posting, "Why we need BBM for android??" everywhere they can. I can not blame them too.. there are so many cross platform messengers already available, do we really need one more. And secondly BlackBerry is loosing the Smartphone market for some time. UPDATE: BlackBerry on it's official blog announced that due to some technical glitch, the launch of BBM for Android has been paused. This even applies for iPhone users. BB says that those users who have already downloaded and using the app on iphone can continue to use it without any issue. Our teams continue to work around the clock to bring BBM to Android and iPhone, but only when it’s ready and we know it will live up to your expectations of BBM. We are pausing the global roll-out of BBM for Android and iPhone. Customers who have already downloaded BBM for iPhone will be able to continue to use BBM. The unreleased Android app will be disabled, and customers who downloaded it should visitwww.BBM.com to register for updates on official BBM for Android availability.